The Rt Hon. 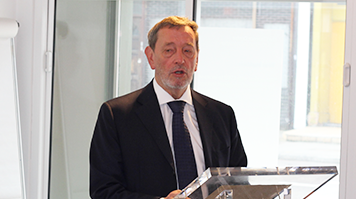 Lord David Blunkett, former Secretary of State for Education and Employment, spoke about the challenges universities face in making a social impact on communities and improving public services yesterday at London South Bank University (LSBU). The event brought together cross-sector specialists, policy-makers and practitioners to discuss how universities can make a positive impact in local communities and help shape the growth of cities. The event was held by LSBU and social enterprise Collaborate CIC. In his keynote address, Lord Blunkett spoke about how citizens should be empowered to help asses where money was being spent. He called on universities and other public bodies to “draw on the wider expertise and life experience of communities” in order to improve the efficacy of public services. The session provided a shared space where participants could explore how universities can engage with citizens to play an influential role in shaping the higher education sector and the development of cities. “Universities are about more than the sum of their activities. They should provide a public good as part of their work and to do so they need to ensure effective engagement with communities – forming links locally, nationally and internationally. To impact on the growth of people and regions we need to embrace the diversity of organisations both within and beyond the higher education sector and work with communities to better inform how public services are delivered,” said Professor David Phoenix, Vice-Chancellor of LSBU. The discussion event will help inform the development of a new Centre that is being developed by LSBU and Collaborate. The Centre for Urban Collaboration (CUC) will bring together academic experts, policy-makers, innovative thinkers and citizens to better inform urban development across the public, private and third sectors. "A human capital question sits at the heart of the devolution, growth and public service reform agendas. To solidify the links between resilient communities and productive economies, we need established civic institutions to work much better together across a place. Universities can lead this collaboration - but they need to take building relationships with unusual suspects as seriously as their core business," said Dr Henry Kippin, Executive Director of Collaborate CIC.